The City of La Paz, the capital of the Mexican state Baja del Sur, is a commercial urban center of approximately 215,000 people. The region has an isolated grid, and before 2013, was powered entirely by fossil fuels. Electricity prices were, therefore, high and volatile prices. But the region is fortunate to have some of the highest average solar irradiance in Mexico - more than 5.8 kilowatt hours per square meter a day. Starting in 2013, La Paz was on its way to being powered entirely by the sun. In September 2013, a 39 megawatt solar plant began generating 82 gigawatt hours a year, equivalent to 65% of the city's power consumption. 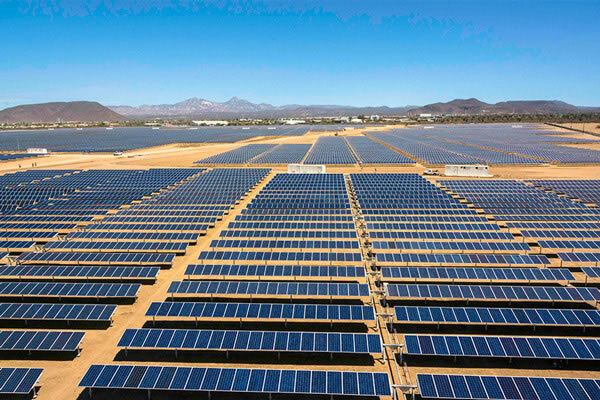 Called Aura I, the solar plant became the largest solar installation in Mexico. 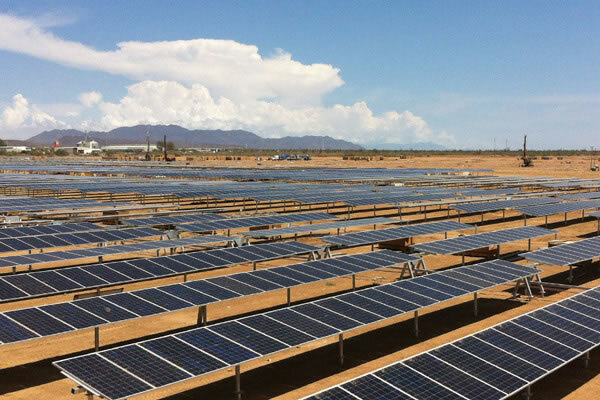 Built by Gauss Energia, it became the first large-scale solar project in the nation's "Small Producer Program." Aura Solar I receives no public or private subsides. Power is sold exclusively to the Federal Electricity Commission (CFE), Mexico's national utility, under a 20-year power purchase agreement (PPA). The pricing for the PPA fluctuates based on local node pricing (called short-run total cost or CTCP). The power plant is sited on 100 hectares of land adjacent to the La Paz Industrial Park, where lack of forest vegetation ensured reduced environmental impact. It uses 132,000 polycrystalline photovoltaic modules on a single tracking system to generate power, which is delivered through a new 2.9-km long, 115 kv transmission line. Aura I allows La Paz to avoid a large amount of fossil fuel imports and 45,000 metric tons of CO2 emissions a year. It also protects environmentally sensitive areas from the impacts of fossil fuel transport, such as he Sea of Cortez, a UNESCO World Heritage site. The plant also resulted in more than 400 direct jobs during its construction, and workers received training to be better equipped for future employment in high tech sustainable electricity generation. The total project cost was 100 million USD, which was funded with 25 million USD in equity from Corporación Aura Solar, which owns the project, and 75 million USD in loans from the International Finance Corporation and the Nacional Financiera of the Mexican Federal Government. In December 2014, international energy firm Grupotec and the Mexican government initiated a second solar project featuring 27.6 megawatts of solar photovoltaics and 11 megawatts of battery storage. Sited on 44 hectares, the 97,000 module project is expected to meet 40-42% of the electricity demand of La Paz. This in combination with Aura I will cover 100% of electricity needs city wide. This project is also part of the Small Producer Program, and the power generated is to be sold to CFE through a 20- year PPA similar to that of Aura I.